Welcome to Containerstorageunits.co.uk – a new standard in high-quality, low cost storage solutions. 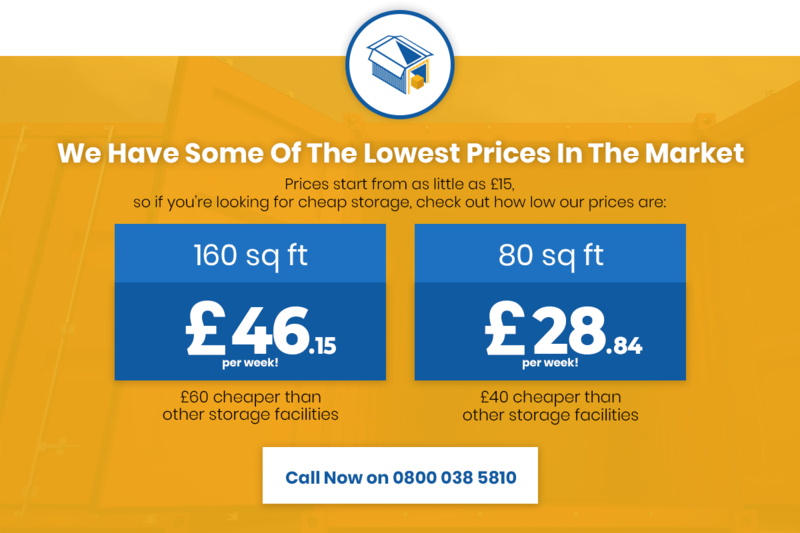 We went into business having noticed a long-standing gap in the huge self-storage market in the UK. That being, a storage service that focuses on simplicity, affordability and convenience above all else. No frills, no unnecessary extras and no complications – simplified storage for the lowest possible prices. No to mention, the promise of 24/7 security and free access to your property for total peace of mind. From our sizeable site just off the M25, we offer a comprehensive range of storage services for all purposes. Unlike others, we cater to the needs of domestic, commercial and industrial customers alike – all from the same facility and with the same guaranteed low prices. We’re also happy to put our money where our mouth is – find a better quote elsewhere and we’ll match or beat it, no questions asked! It’s our total commitment to flexibility that separates us from the competition. You tell us what you need, when you need it and how long you need it for – we offer bespoke storage solutions that cater to your requirements and your budget. From self-storage units at our facility to shipping container hire and so much more besides, you’ll find it all right here.